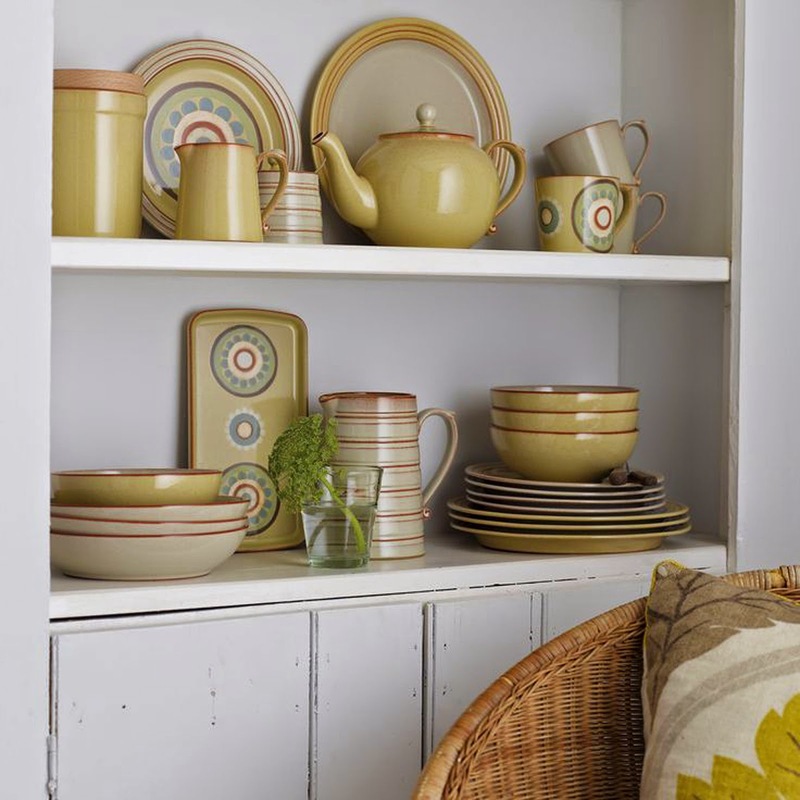 Today I want to share with you a pretty range of crockery I discovered this week, whilst looking for a plate to serve cake on. 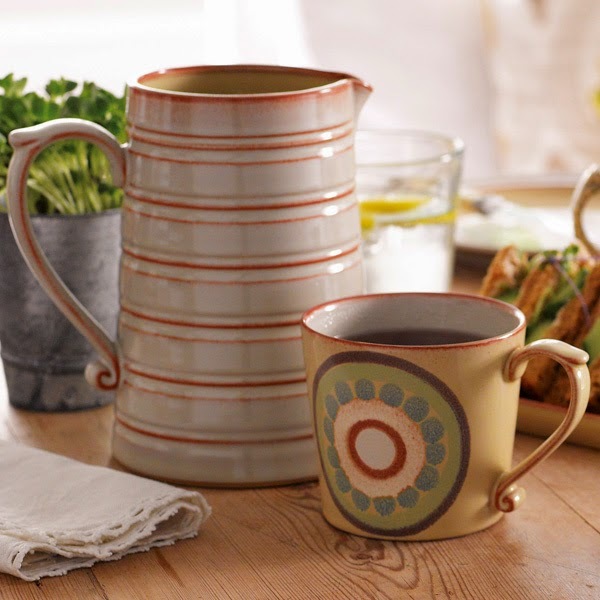 The Denby Heritage Veranda is inspired by 1960s Arabesque and has a modern-retro feel about it. 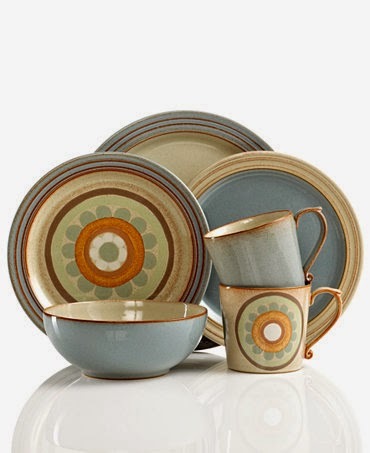 This isn't a brand I've bought before, but my parents have quite a bit of Denby chinaware. I was looking for a plate that would suit the kind of loaf~shaped cake I'm fond of ~ see my recent recipe here. 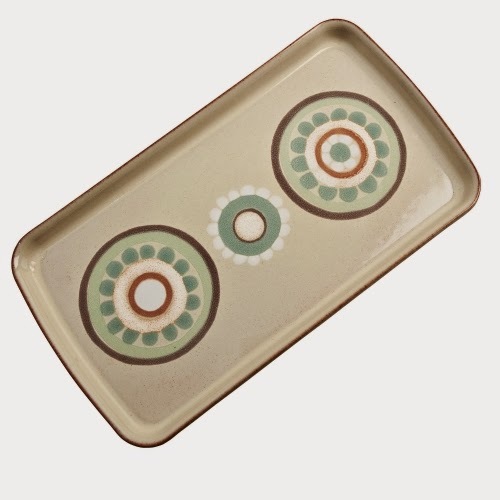 I happened upon this one from the Heritage Veranda range, which suits perfectly... This picture shows the true colour a bit better - more of a putty than a green. It's microwave & dishwasher proof, which is a bonus as most of my china is hand wash only, having come to me from my Grandparents. Not sure if I'll be buying anything else from this range just yet, but I do kind of like it's quirky style. What style of china do you favour? 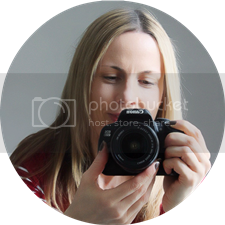 Quirky or more conservative? Matching or eclectic? I'd love to know!